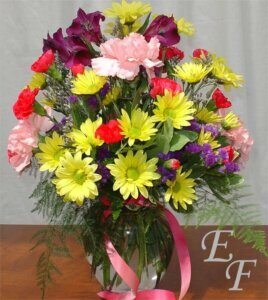 Gerbera Daisies are always a beautiful choice. 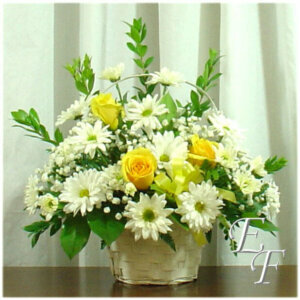 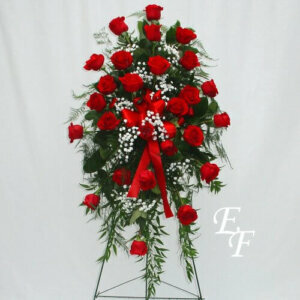 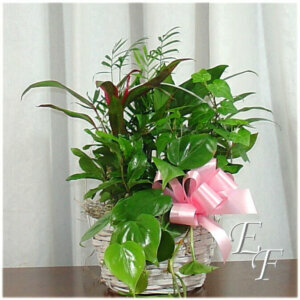 The design features standard, bright orange Gerbera Daisies arranged with red Roses, white Snapdragons, and Fugi Mums. 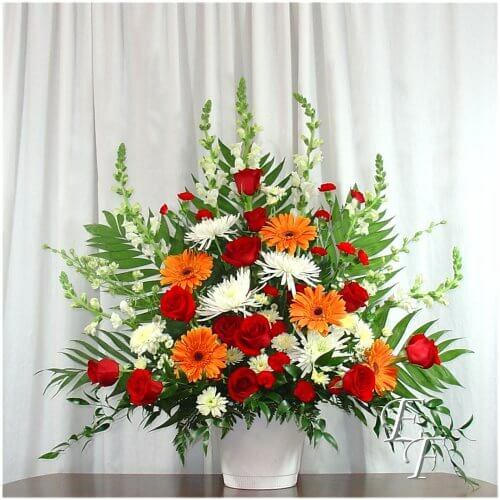 When finished the design is approximately 42″ tall.